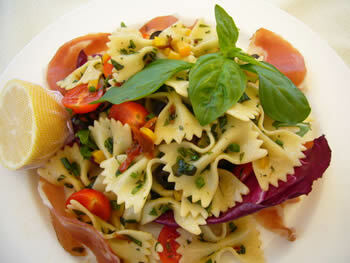 Key difference: Continental food refers to a cuisine which includes well known dishes of Western cultures. Chinese cuisine includes styles originating from diverse regions of China and its people. 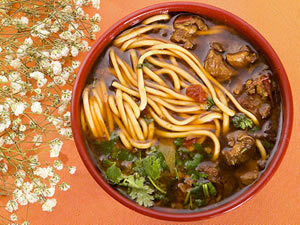 Continental and Chinese Cuisines are two popular food forms, that are highly appreciated by people all over the world. This article helps us be more specific to the differences between the two. Continental cuisine is derived from the influence of people settled in the Western and Eastern regions of Europe. This term is used in contrast to the Asian style of cooking. Meat is an important part of this cuisine; steaks are popular among the west. Emphasis is put on sauces as a side dish or seasoning, as sometimes it is difficult for sauces to penetrate inside the meat. Dairy products are also important ingredients in the cooking process. Bread and potatoes are common sources for starch along with pasta, dumplings or pastries. Maize is less likely to be included in European diets; however cornmeal is a major part of cuisine in the Balkans. According to Wikipedia, the history of Chinese cuisine stretches back for thousands of years and has changed from time to time and in each region, according to climate, imperial fashions, and local preferences. The techniques and ingredients from the cuisines of other cultures were integrated into the Chinese cuisine, due to the expansion of trade with nearby regions, European countries and the New World. Style and taste varies according to class, region and ethnic background. This leads to an unparalleled range of ingredients, techniques, dishes and eating styles in what could be called as Chinese food. The cuisine teaches people to pride themselves on a wide variety of food and to remain true to the spirit and traditions of the Chinese food culture. Different styles contribute to Chinese cuisine but the best known and the most influential are Cantonese cuisine, Shandong cuisine, Jiangsu cuisine and Szechuan cuisine. These styles are distinctive from one another due to factors such as available resources, climate, geography, history, cooking techniques and lifestyle. One style favors the use of lots of garlic and shallots over lots of chilies and spices, while another may favor preparing seafood over other meats and fowl. Jiangsu cuisine favors cooking techniques such as braising and stewing, while Sichuan cuisine employs baking. Hairy crab is a highly sought after local delicacy in Shanghai, as it can be found in lakes within the region. Peking Duck is another popular dish well known outside of China. The staple food in Chinese cuisine is rice, noodles, soybeans, wheat, vegetables and various herbs. It is derived from regions of Europe. It is derived from regions of China. Are used as side dishes. Are used in the main dish. Pecking duck, rice noodles, etc.